The NHMS (National Health and Morbidity Survey) 2006 revealed that 14.9% of Malaysians were diabetic, 42.6% were hypertensive, 29.1% were overweight and 14.4% were obese. The prevalence of diabetes was 1-2% in 1960, 6.3% in 1985, 8.3% in 1996 and 14.9% in 2006. In just 20 years, it has increased to 250%. The prevalence of hypertension in the adult population found at screening ranges from 15-25%. Diabetes is diagnosed when fasting blood sugar exceeds 7.1 mmol/L or random blood sugar exceeds 11.1 mmol/L. In the presence of symptoms, one reading of the above is sufficient to say one has diabetes. However, in the absence of symptoms, at least two reading of the above will be needed to diagnose diabetes. The definition of hypertension has been reviewed by various authorities, including the World Health Organization / International Society of Hypertension (WHO/ISH) and The Joint National Committee on the Detection, Evaluation and Treatment of High Blood Pressure (JNC). Hypertension can be classified to various stages, however repeated readings of more than 140/90 mmHg is enough to say one has hypertension. Hypertension should not be diagnosed on the basis of a single measurement. Otherwise, the initial elevated readings should be confirmed on at least two subsequent visits. The reevaluation may be done within days or weeks depending upon the level of the initial blood pressure. 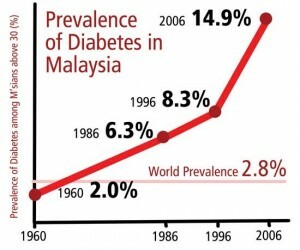 Figure 1: Illustrates The Prevalence Of Diabetes In Malaysia According To Years. Diabetes develops when the body cannot produce or use insulin, an essential hormone made in the pancreas. Insulin helps move glucose (a form of sugar) from the blood into the cells of your body. When glucose builds up in the bloodstream, blood glucose rises, causing a condition known as hyperglycaemia. When blood glucose goes too high, people experience a variety of symptoms. The most common symptoms include increased thirst, frequent urination, weight loss, increased hunger, blurred vision. Other symptoms include irritability, tingling or numbness in the hands or feet, frequent skin, bladder or gum infections, wounds that do not heal, extreme fatigue and very dry skin. Screening and managing diabetes is one of the best tickets to good health now and in the future. Maintaining weight and normal blood glucose levels are the best ways to reduce risk of developing health problems in the future. Long term complications are health problems that can occur in a person who has had diabetes for a number of years. These complications occur mainly because of damage to blood vessels. 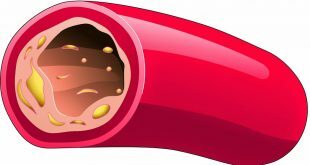 The problems caused by blood vessel damage are related to the size of the vessel and the area of the body which the problem develops. Eye, kidney and nerve problems are related to the damage of small blood vessels called micro vascular disease. 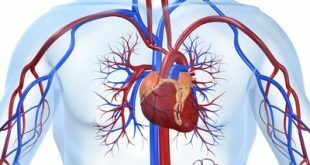 Heart, feet and brain complications are caused by damage to the large blood vessels or macro vascular disease. 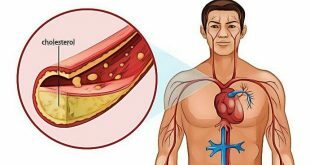 Other factors such as high blood cholesterol levels and high blood pressure may contribute to complications. Heredity may also play a role in determining who gets complications or who does not. Hypertensive patients are predisposed to develop heart disease, stroke, kidney disease as well as eye disease. If they were to develop diabetes, the risks of developing eye, kidney and heart disease as well as stroke doubles. 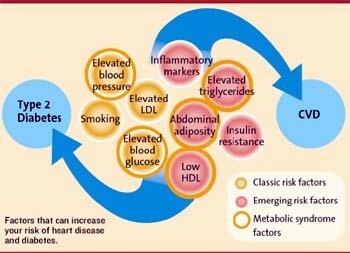 Figure 2: Demonstrates The Risk Factors To Develop Cardiovascular Disease. 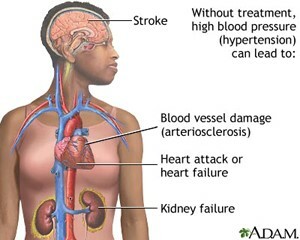 Figure 3: Shows The Complications Of Untreated Hypertension. If a patient with hypertension has diabetes, this puts them at a much higher risk of developing heart disease. They are also more likely to have high cholesterol levels as well. Diabetes can also increase the effect of other risk factors for heart disease, such as smoking and being overweight. As with hypertension, drugs for the treatment of diabetes work to control blood sugar levels, either in a fasting state or that after a meal. Both these areas are important if you are diabetic, and your blood sugar levels can be managed with either oral drugs or in combination with injectable insulin. It is common to use a combination of oral drugs in order to achieve consistent control of both the fasting and the after-meal rise of blood glucose. Diet: The distribution of carbohydrates and calories throughout the day are important, as well as limiting total calories to achieve a near ideal body weight. These changes will lower blood sugar and lipid levels. Exercise: Exercise burns calories and muscle glycogen, which lowers blood glucose. Exercise decreases insulin resistance, which allows insulin to normally manage glucose levels. Oral medications are primarily effective for patients who have some insulin production, such as type 2 diabetes patients. The many available medications work on the intestines, liver, muscles, fat cells and pancreas. Your doctor will determine which mix of medications best treat your type 2 diabetes. Consistent control of diabetes can be effectively measured by using HbA1c levels. It is a simple blood test that acts as an indicator of long-term blood glucose control and a guide for physicians to gauge if treatment is sufficient in preventing cardiovascular complications of this progressive disease. If you have diabetes, it is even more essential to ensure that other co-existing diseases such as hypertension and cholesterol levels are well controlled to minimize your risk of developing heart disease. There are many drugs available today that can treat hypertension. They differ from one another by working in different ways to lower blood pressure. Doctors will often start treatment with one class of drug and then combine it with others as combination therapy is more effective than using one drug alone at maximum dose. Medical progress has improved the availability of treatment options for hypertension. However, this does not diminish the need for the older generation drugs that have long established effective properties or are better tolerated in some patients. The right choice of drug is essential to keep blood pressure levels as consistently close to normal limits (130/90mmHg) as possible in order to prevent cardiovascular complications such as stroke. It is important that you schedule regular appointments with the healthcare provider who treats your diabetes and hypertension. Make the most of your appointments by arriving with information on your blood sugar testing, exercise and food records. Make a list of questions that you have before you go. Once you are diagnosed with diabetes, you may be advised by your health care provider to do self blood glucose monitoring at home. 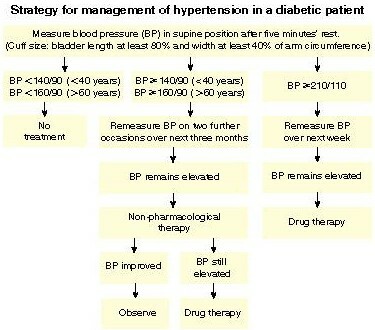 Figure 4: Illustrates The Management Of Hypertension In A Diabetic Patient. Figure 5: Reveals A Depiction Of Self Monitoring Of Blood Glucose. In addition to controlling the significant risk factors of hypertension, diabetes, and high cholesterol levels, it is essential to also adopt a healthy lifestyle. Eating healthily can help you prevent cardiovascular complications. It is advisable for you to observe a low-fat and low-salt diet that includes plenty of fruit and vegetables. Choose healthy cooking methods (grill, bake, steam, or microwave instead of frying), trim fat off meat, and remove skin from chicken. A healthy diet will lower the likelihood of you being overweight, which is yet another factor that increases your chances of developing heart disease. Regular exercise is one of the best things you can do for your heart. With just 30 minutes of moderate intensity activity at least three days a week, you can halve your chance of developing heart disease. Giving up smoking not only reduces your risk of developing heart disease, but also reduces the risk of many other serious illnesses such as cancer and obstructive airway diseases. As exposure to passive smoking (inhaling smoke from nearby smokers) may also increase your risk of heart disease, you should also try to prevent your exposure to this. If you are overweight and hypertensive, weight loss is an extremely effective prevention plan. A weight loss of 10% of your current body weight can greatly reduce your risk of developing diabetes and or improve blood sugar control. 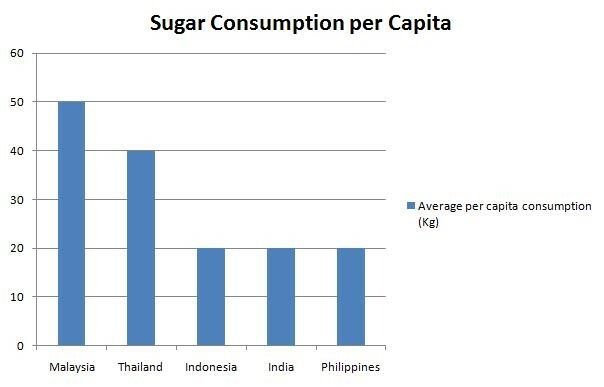 Figure 6 shows the average sugar consumption per capita in Asian countries. Once you develop diabetes, you risk eye and foot problems. They need to be checked regularly, at least annually. Feet should be checked regularly as well. Decreased feeling in the feet, cramps when walking, cuts and scratches that heals slowly, redness in the feet and pain should be informed to the health care provider. Permanent nerve damage or known as peripheral neuropathy as well impaired circulation to the feet can lead to infections and gangrene. This will lead to amputations. Health care providers will offer advise to proper foot wear and daily feet inspections to prevent these. However, if the foot sore goes untreated, and an amputation becomes unavoidable, then rehabilitation and prosthetic limbs will be next option. It is often impossible to battle chronic diseases like diabetes and hypertension all alone. Patients are encouraged to join support groups such as Persatuan Diabetes Malaysia or the Malaysian Hypertension Club. The support groups organize activities for members and the public to create awareness, act as a support group for patients who are suffering from hypertension and diabetes, provide talks and/or exhibitions by experts, provide a website for communication and feedback to and from members and provide information in the form of flyers, posters and through the media to improve understanding of hypertension and diabetes.